Great price, clean, and very friendly. Man at the front who helped me was very nice and informed me of everything I needed to know. Thank you for affordable pricing for parking my car for a month. 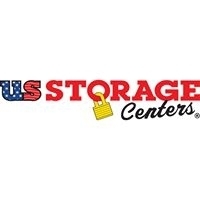 Definitely recommend this storage place. Keith and Jeff were awesome , they gave me a certain price on the phone and ended up being cheaper. Awesome ppl to talk to. Friendly helpful service! We are happy we found this place. Car Storage in Las Vegas: Easy to find, On bus route so easy to commute to/from. In & Out privileges, chance to extend length of parking time, Friendly service, Immediate answers to questions on availability, Easy pay by credit card or online with automatic monthly payments available. Only negative is it was a gravel lot & expect car to be dirty when we pick it up. Would buy a âcar bagâ with padlock for leaving it long term next time.